Transport personnel to repair energy and other critical infrastructure. 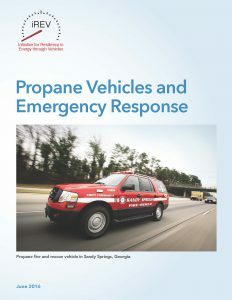 With support from the U.S. Department of Energy Clean Cities Program, the initiative for Resiliency in Energy through Vehicles (iREV) launched in June 2015 with the goal of helping states and localities understand and incorporate AFVs into their emergency preparedness and response efforts. A diverse set of experts led by the National Association of State Energy Officials (NASEO) have coordinated to educate, coordinate, and equip the emergency preparedness and response community with data, tools, and resources they need to integrate AFVs into emergency response planning. 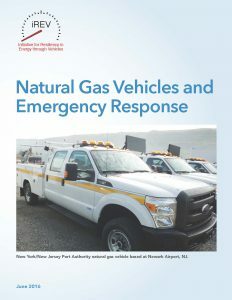 iREV partners have developed case studies and an iREV-Tracking tool to help emergency planners access needed data and understand the potential benefits and costs of deploying natural gas, propane, biofuels, electric vehicles and other emerging technology in emergency situations. 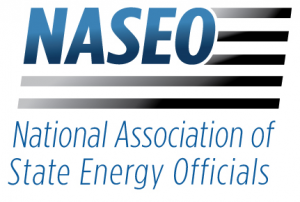 Learn more about the project and all its partners at www.naseo.org/irev. 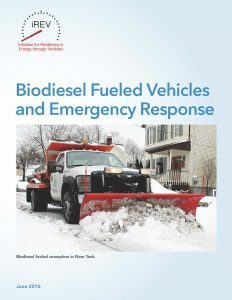 Download the Biodiesel, Propane and/or Natural Gas case studies below.